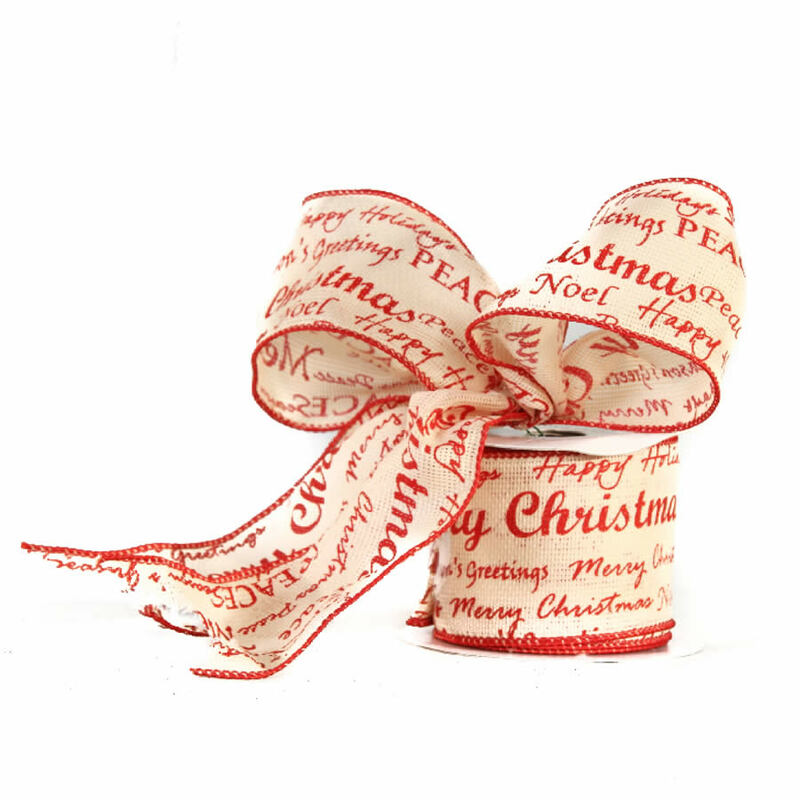 If you love red, than you will adore the beautiful Red Christmas Script Linen Ribbon. 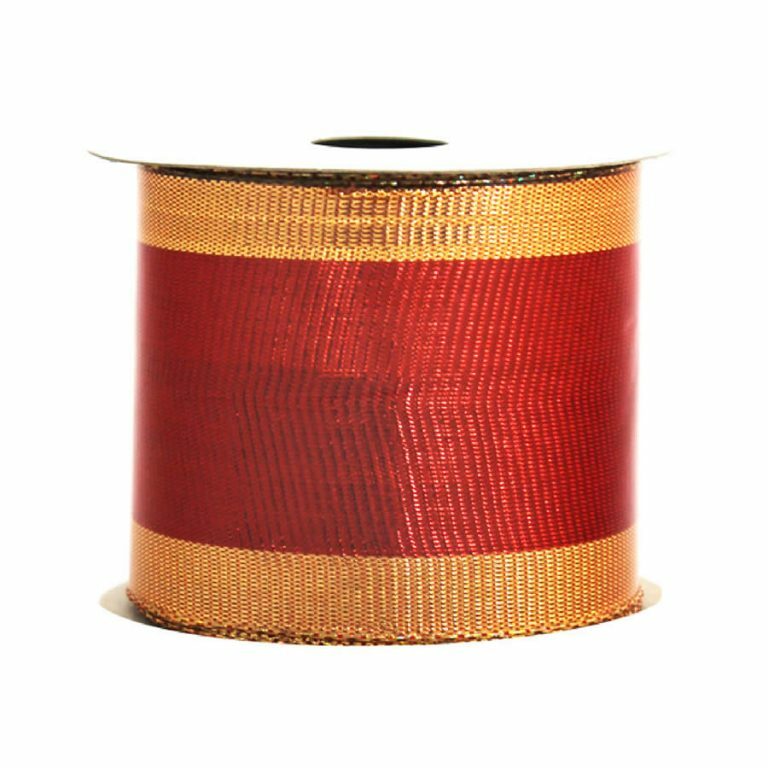 This fine quality ribbon is 9-metres long and 7cm wide, so it is plenty big enough for all of your holiday tasks and decorating projects. The soft red hue of the background is a fine complement to the deeper red script covering the facade of each roll. There is a thin red braid trimming the ribbon, and behind this is a handy wire edging. 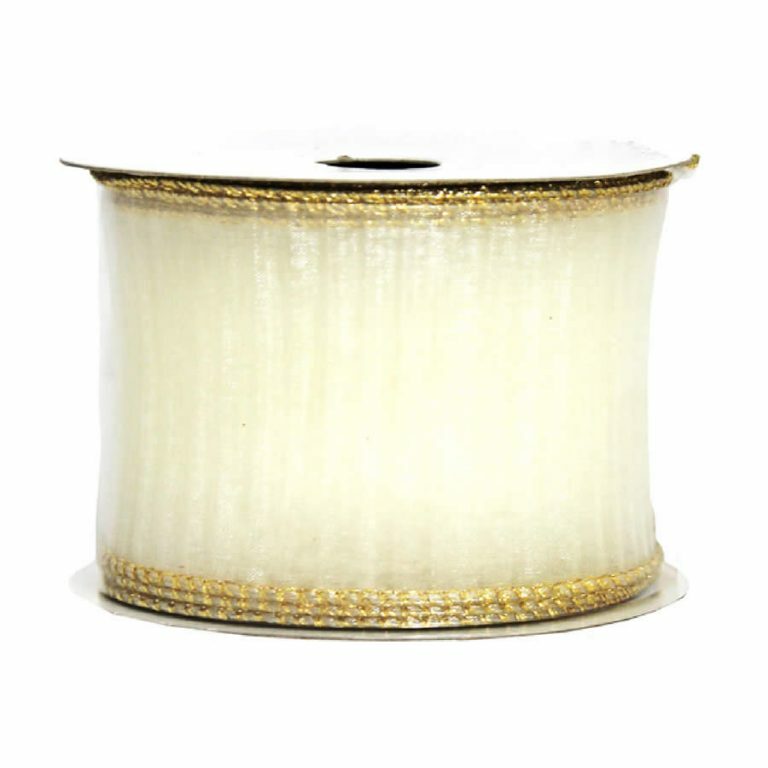 This wire edging allows you to bend and twist this ribbon- and it will stay in place longer, making projects a bit simpler and quicker. This is a gorgeous way to trim a tree or decorate a wreath- and it would stun atop a green balsam or wintry white background. 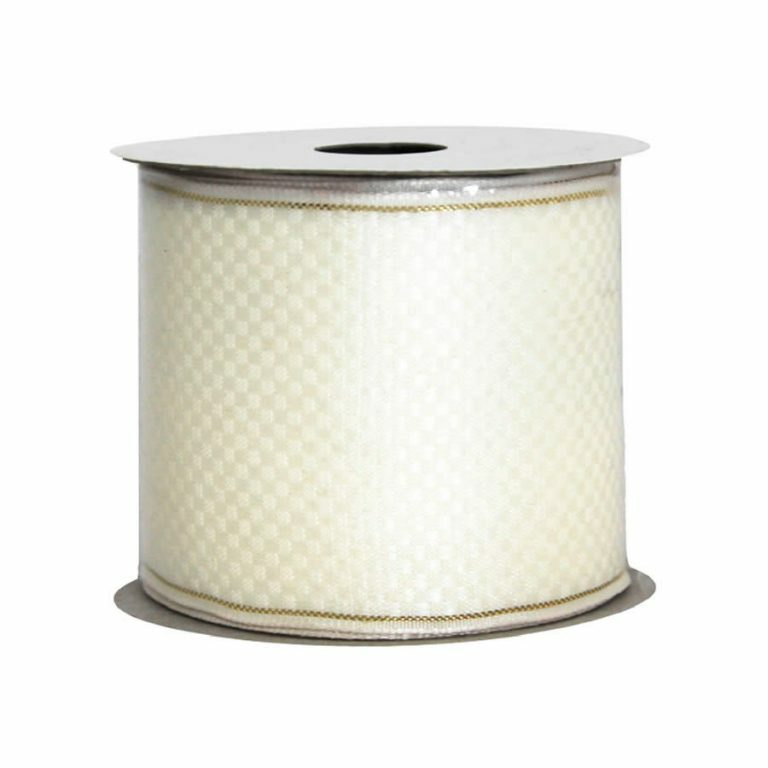 Use this ribbon to add some pizzazz to a simple wrapped gift. 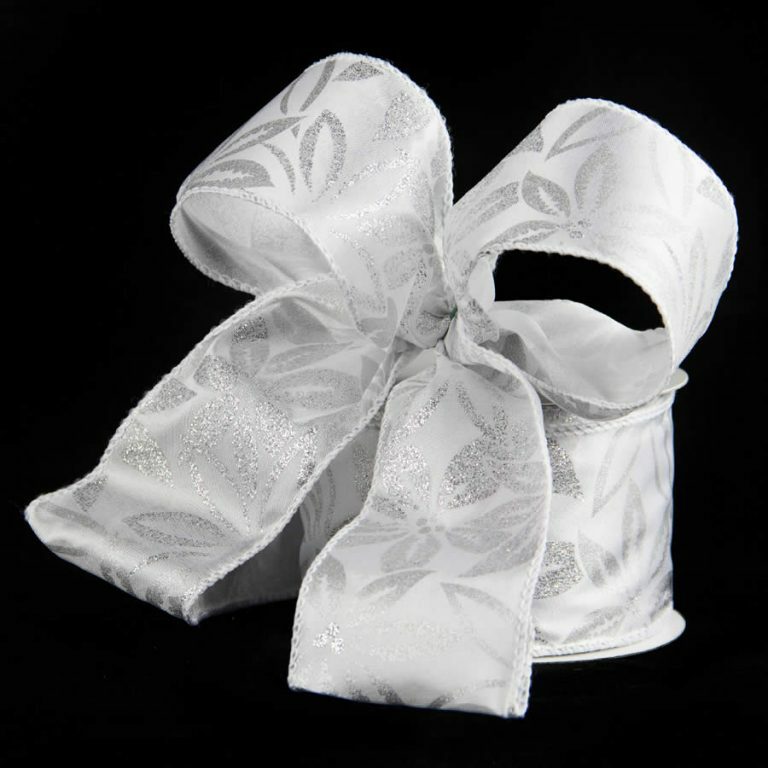 Friends and family will love the extra touch, and likely they will reuse the ribbon in their own home decor!